Researching your family history can be an interesting and worthwhile hobby. The Guild of One Name Studies looks at individual surnames, (and its variants), and they can help people further their own family history research. In this post I want to show you all about the Guild of One Name Studies and how they can help you with your family history research. Also, I will show you how to begin studying the last names in your family tree, how to join this really helpful guild and what publications that you can purchase to help you along the way. The Guild of One Name Studies, (abbreviated as GOONS), was founded in Britain in 1979. Its headquarters are located in London, England. Although it is a UK based charitable organization it does have members all over the world. To date the guild has 2500 members worldwide. Where are these members from? Most members are located within the U.K., although there is a considerable amount of members that are living within North America, Australia and New Zealand. As the guild is a charity it has no employed staff. It gets its funding from the Halsted Trust. This trust was originally set up to help promote one name studies. The preservation and accessibility of the resultant research. The guild was borne out of a need to set up a group which concentrated solely on the study of an individual name. The group was formed by the members of the Federation of Family History Societies. The FFHS was founded earlier in 1974, but three years later in 1977 it was discovered that a third of its members were one name societies. With this in mind it was unanimous that a guild was thus needed for the research of individual names. It was decided that this group would be called a guild due to the inspiration from medieval guilds. The guild also wanted to have the acronym GOONS, after the British radio comedy The Goons. While you research your family tree you will come across many different surnames. If you are like me you will want to know each and every branch of your tree. With one name studies however you just look at the branches with one particular surname in mind. When researching a particular surname you may wish to confine your research to a geographical area, perhaps to a town or country. However, in order to join the guild you will need to commit your research on a global scale. You may draw inspiration for this type of research from a branch within your family tree. Once you have decided on a name you can research everyone with that same last name. You will thus be looking at all occurrences of the name as well as any variants. Researchers of this particular type also delve into the origin and the meaning of the surname. This can bring up some interesting results. This research may in fact help you further trace the line of your ancestors. DNA testing and social media help! Members have also taken to DNA genealogy research to widen their results. This ‘new’ area of research can really help you to further expand your knowledge of your family tree. Please check out my The Best Genealogy Sites For Your Family History Research post to help you further. As well as DNA the group looks at online social media, such as Facebook, Twitter and Google Plus. The aim of using these tools is to make connections between people. You may decide that you want to conduct research on an unusual and odd sounding surname. As a result you may also want to find as many different occurrences of the name as well. To begin your research you will want to know how common your chosen surname is, or maybe how rare it is. For this there is a really useful online tool that you can use. The ONS List looks at the rarity of surnames found in England and Wales. There are over a million surnames within this database, which is shared by more than 50 million people. If you are conducting your research within the United States then you can visit the US Census Bureau Genealogy Page. You may wish to use a map when you start your one name research. Using a map can greatly help you as you plot your chosen name and see the distribution of the name. When researching your family history you may have enlisted the help of your immediate family and distant cousins. Doing so can help you immensely further your results. As many of you may know it can take time to trace out your family tree. Many of us therefore will take kindly to help along the way. The same can be said about the study of a single name. So, if you can find anyone that is interested in the same name then I suggest that you take advantage of this. If you do have a group of people then you could form a society. 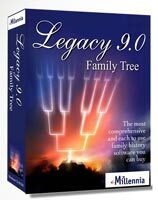 Similar to your own genealogy research you must be prepared to learn new skills and maybe ask for guidance as well. When you began researching your ancestry you may have decided to research a particular person. Or, you may have decided that you would start on just one branch before moving onto the next branch within your tree. So, it is no surprise here that there is no right way when it comes to this type of research. It really depends on whatever you want to know. The resources that are available to you, such as time, equipment and your skills. Even though there is no right or wrong way to conduct a one name study there are seven broad activities within this type of research. Following this approach will help you fulfill the aims and goals of your research. As I have pointed out before the study of one names is very similar to genealogy. You will collect your information and try to make sense of it all. After all of this you will want to tie up any loose ends. And finally you may wish to publicise your work. Doing so will help to preserve the information that you have found for generations to come. Anyone can become a member of the Guild of One Name Studies. 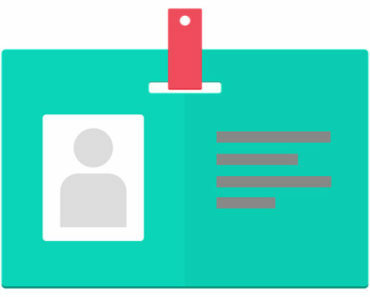 When joining you can register the surname that you are interested in researching. However, you cannot register a surname that is already being researched. Also, registering a surname is not a condition of membership. At present there are over 2000 studies being conducted, with 8000 surnames and variants being researched. Since the Guild’s inception back in 1979 many members have since died. And subsequently as a result their research has ceased to continue. A fifth of the members within the guild present their research through the society’s website. Members can also publicise their studies on the website through their profiles. Meetings are regularly held, (within England), which discusses the methods that advice is given for this type of research. A listing of these meetings can be found on the society’s website, its forum, and at seminars and annual conferences as well. I did point out that as members have died since the society was formed so has their research. However, there is a repository called the Guild Archive which stores these members studies. So, you could in fact carry on someone else’s work. The Guild publishes a Journal of One-Name Studies quarterly, and has been doing so since 1982. A Register of One-Name Studies is also published annually which lists all the registered one name studies. There are also booklets containing advice for its members as well. Conducting this type of research can be beneficial in a number of ways. As you may be collaborating with other members you will gain useful skills and also learn of resources that are available to you and how you can use them. This is something that may not be open to you if you were working on your own. Also, by conducting this type of research you will be helping other people who are interested in the same name as yourself. You will therefore be furthering their own genealogy research. Since learning about my own family history I have become interested in helping others within this hobby. Hence, the creation of this website where I give useful guides and tips to the beginner as well as the more seasoned genealogist. So, if you are just beginning or you have been tracing your family history for a while this is definitely something to consider. Not only will you be helping yourself but you will be helping others. That definitely is something to work towards isn’t it? I hope you enjoyed this post explaining exactly what the guild of one name studies is all about. If you have any questions or comments then please leave a comment below. An excellent post with some great information to help people get started researching their surnames. 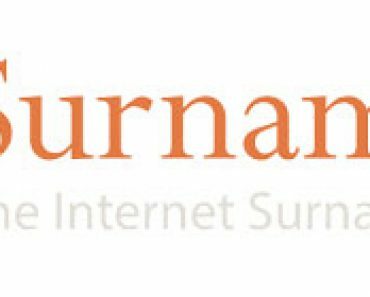 The Guild of One-Name Studies’ website is a helpful place to start and I joined the Guild originally simply to learn the methodology (and get tips) about conducting my limited surname research (a great wiki and helpful seminars, many of which are recorded & archived). Members are helpful, social media groups are great sounding boards for questions, and at some point I’m guessing that your interest will propel you to register your surname. I did and I have been researching for a couple of years – focusing on records and families in Newfoundland and parts of Canada & USA. At some point taking it back to Ireland and forward other locations where it has traveled. Some researchers are now including DNA studies with their research and family reconstructions – so there are lots of interesting ways to study our surnames. Thanks for sharing information – it is definitely an interesting specialized study. And kudos on your website – some great resources and helpful tips to help new and not-so-new genealogists and family historians! Thank you very much Tessa for stopping by and commenting. I very much appreciate it. Thank you also for appreciating my work. I plan to add so much more to this site. I have been doing this for 8 months now but have only scratched the surface it seems. As yet I have not registered my own surname to the Guild but will further down the line. The Guild is just one more place where we can socialise with other family historians and help each other out. What a great piece of information! 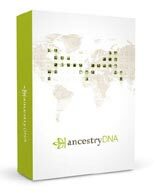 I have always wanted to explore the history of my family but didn’t know what to start with. This seems as very time consuming and sophisticated work but definitely worth doing it. I will have a much deeper look into your website as it seems to be a great guideline on how to explore family history most efficient. It can be a quite time consuming hobby. It does depend though on how far back that you wish to go with your family tree and how much information that you wish to gather. There are just so many records out there that you can find regarding your ancestors. You just have to look. Please feel free to browse this site. There are plenty of guides and tips as well as informative origin stories as well. This is a great site. My uncle started researching our family tree before he passed on a couple of years ago. He had found some relatives buried in the military cemeteries in England from WW1. How do I find out what surnames are already being investigated? And are you able to contact the people that have those studies? Thanks Debra. That’s great that your uncle started on your family tree. Least you can carry on with that research. Least you don’t have to redo some of the work that he started. You can check out your surname by filling in the box at the top right of the Guild’s website. The website address is one-name.org. Funny thing is that my father told us our surname was given in a war. I think he made some kind of a heroic thing but my father is not 100% sure. Actually I can have a look at that society’s website and see research advice, etc that is there. Will it help my research or should I choose something else? Sounds to me Furkan that your surname falls into the Nickname or Descriptive type. So your ancestor may have been known for his bravery perhaps. You can always check the online register to see if your surname has been registered. Just fill in your surname in the box that is featured in the top right of the Guild of One Name Studies website. Thanks for checking out the post Mike. It is a fascinating database to check out. I have spent many a while looking up surnames on it. Over time maybe you will see your surname climb the table. My father conducted a search of our family tree about five years ago. It was interesting to learn how far back in time our family tree went back. After two years of working on it. My father discovered that our family originated in Hungary. And he was able to trace it back to the 1500’s A.D. before the records were exhausted. How exciting your hobby must be. It has to be amazing the information you have found out about other families or individuals helping them research their backgrounds. With so much going on in the world we all must realize we are all immigrants. We all came from somewhere. And in the stories, I’ve heard from people most are surprised at where they originated from. I learned something from your article and will pass it along to my father to see if the tips you provided here might be another avenue of research. Thank you for providing better insight into this investigation of family trees. Thank you Kevin for dropping by and commenting. I am very impressed at how far back your father was able to go with your family tree. Once you get to the mid 1700s it can be quite difficult to go back even further. So my hat’s off to him. It is quite true that we are all immigrants. And on a smaller scale our ancestors may have traveled just a couple of hundred miles away. But in the past this would have meant a considerable feat for them. Thank you for passing on this post and this site to your father. There is plenty on here that may be of use to him. And I am always putting more and more interesting articles on the site. Hi, very interesting and informative article. I would love to research my family history but I live in South America and my background is Italian, Spanish, Portuguese and I really don’t know much about the family since records were not really kept by the authorities and I have no older family members I can ask. Tried to do some research when I was younger but really didn’t manage to find out very much. Hi Chris, thank you for dropping by and leaving a comment. It’s a shame about records not being kept. There are other ways that you can use to build your family tree. You could interview older relatives or family friends who knew your family. Or you may have relatives who have already taken up genealogy. Also, you may have documents or letters around the home which can help you. When I set up the website I began to concentrate on the western world. In the future I will be adding posts concentratingon other parts of the world. However, you will find useful guides and tips here that can be of use no matter where in the world you are. I wish you success with tracing your ancestry.